(CNN) -- A 14-year-old boy allegedly beaten at a boot camp in China for young Internet addicts was in critical condition Thursday, less than three weeks after a youth at a different camp died, Chinese state media reported. People sit at a wireless cafe in Beijing, using their laptop computers. Internet use has skyrocketed in China, especially among teens. And Chinese parents have turned to hundreds of training camps that offer to wean their children -- mostly teenagers -- from excessive Internet use. There are at least 400 private rehabilitation clinics or camps in the country, according to a recent survey by the China Youth Internet Association, adding that China has 10 million teenage Web addicts. But the Chinese Ministry of Health says none of the private rehab clinics are legally registered. The parents of Pu Liang, the injured teen, had sent him to a camp called the Anti-traditional Education Training Center on August 4 near Chengdu, capital of the southwestern province of Sichuan, Chinese media reported. Pu allegedly was beaten three times between August 4 and August 11. Police discovered the boy in solitary confinement last week and he was taken to a hospital, according to media reports. His parents accused a counselor at the camp and Pu's peers of repeatedly hitting him, Chinese media said, adding that particular camp has been closed. "He is suffering from water on the lungs and kidney failure," Pu's father, Pu Shiwei, told the publication China View on Wednesday. "All injuries were done by the people at the camp." The training center denied that a counselor beat the youth, contending Pu was hit by other campers because he couldn't get along with them, China View reported. Authorities in Zhongjiang county, where the camp is located, said they detained the counselor after a report of alleged abuse from the parents of another child. The man who established the military-style camp, Wu Yongjing, admitted to the BBC that youngsters were sometimes subjected to "physical punishment." "Physical punishment is an effective way to educate children -- as long as it can be controlled," he said in an online story Wednesday. The injured youth's mother told Chinese media that her son "got addicted to online games and frequented Internet cafes ... at the end of last semester, my son said he didn't want to go to school." The mother, Li Shubing, saw an ad for the training camp and hoped her son could be helped, she told China Daily. The parents signed a contract with the center and paid 5,000 yuan (about $730), she said. In a separate incident, 15-year-old Deng Senshan died after his parents sent him to a summer training camp for his Internet addiction, according to Chinese news agency Xinhua. That camp was in south China's Guangxi Zhuang Autonomous Region. Authorities detained several counselors and were investigating the incident. Injuries found on the body indicated the teen had been beaten, Xinhua reported. China is in the process of classifying Internet addiction as a mental illness, according to China Tech News. Medical experts have called for laws and regulations to govern treatment. 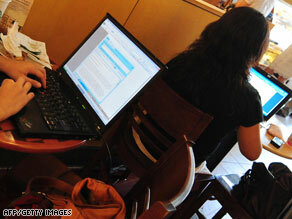 Last month the government banned electro-shock therapy as treatment for Internet addiction after abuses were reported. Internet users claiming to have received the treatment wrote in blogs and forums about being tied down and subjected to shocks for 30 minutes at a time. "The market of Internet addiction treatment in China is in a total mess due to lack of diagnostic standards and treatment guidelines," said Tao Ran, director of the country's first Internet addiction clinic at Beijing's Military General Hospital. China started to pay attention to the prevention of addiction in 1994, when his clinic opened, Tao said. Data from the Beijing Public Security Bureau indicate that about three-quarters of juvenile criminals in China say they are addicted to the Internet. The proposed Diagnostic Criterion of Internet Addiction makes clear that the Internet-addicted should be treated in medical units with psychiatric departments, Tao said. "Internet addiction is treatable. Through about three months' treatment, 80 percent of the patients can get away from the addiction," Tao has said. Some youths are so immersed in chat rooms and online games that they drop out of school, he added. "They are suffering from depression, nervousness, fear and unwillingness to interact with others, panic and agitation. They also have sleep disorders, the shakes and numbness in their hands," Tao said. One authority on Internet use in China said she has known several college students there who are wildly enthusiastic about the Internet. "When they've come to the U.S., they've all been hooked on the social networking sites," said Susan Barnes, associate director of the Laboratory of Social Computing at the Rochester Institute of Technology. "No matter what time it is, you can always find somebody online." The Internet can easily become compulsive behavior for anyone with an addictive personality, Barnes said.